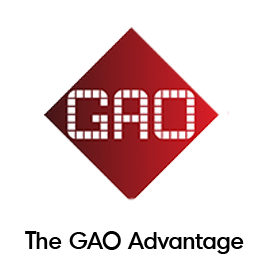 As the largest city in the state of Ohio, GAO RFID Inc. recognizes the unique characteristics of Columbus and its surrounding areas. Affectionately known as The Discovery City, there is certainly much to be explored at every turn. The rather large metropolitan area consists of 10 counties, including Delaware, Franklin and Licking. Columbus is the third largest city in The Buckeye State — behind Cleveland and Cincinnati — with a population of over 800,000 people. GAO RFID is proud to engage in business with this vibrant city. Columbus is constantly bustling with economic activity all year round. Some of America’s largest corporations are headquartered here, including American Electric Power, Wendy’s and White Castle. The city was also named by Forbes as one of the ‘Best Places for Business and Careers’ in the United States. GAO’s Access Control RFID System is widely popular in cities with a similar economic landscape. When it comes to security, our technology meets some of the highest standards in North America. Whether it is for the hotel or auto dealership industry, use GAO’s sophisticated badging system to restrict access to sensitive areas. Closely monitor the movement of all visitors to your site, ultimately allowing you to decide who gets in and who doesn’t. Used with GAO’s other RFID systems — including Parking Control and Asset Tracking — even the most complex infrastructures can enjoy the highest level of security without sacrificing on logistical efficiency. The reason behind Columbus’ success is the diversity in its economy. Rather than focusing on one sector, the city has strong roots in a variety of fields including retail, education and medical research. Businesses in Columbus can benefit from GAO’s solutions, which are fully customizable depending on your needs. Our Work in Progress RFID System is ideal for manufacturers trying to streamline their assembly operations. Meanwhile, GAO’s Asset Tracking solutions are perfect for companies looking to document the whereabouts of their inventory and valuables. Our company will ultimately protect your bottom line by maximizing efficiency and cutting waste. As always, good RFID tracking solutions are the foundation of a business’ success. Our team consists of certified RFID professionals who are always one step ahead of the competition. GAO RFID would be happy to introduce you to some of our finest technology. 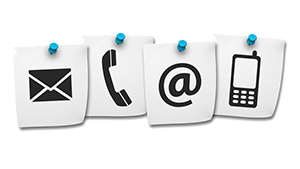 So contact us today for a customized assessment of your business needs. We look forward to hearing from you. Battelle is the world’s largest nonprofit research and development organization, with over 22,000 employees at more than 60 locations globally. A 501(c)(3) charitable trust, Battelle was founded on industrialist Gordon Battelle’s vision that business and scientific interests can go hand-in-hand as forces for positive change. Learn how our RFID Systems can be used in the Scientific Research & Development industry. Learn how our RFID Systems can be used in the Security Services industry.